FRIENDS is the only childhood anxiety prevention programme acknowledged by the World Health Organization for its 12 years of comprehensive validation in schools and health clinics across several countries and languages. The NBSS introduced the 'FRIENDS' programme into 14 partner schools. Training on how to implement and teach the programme was provided to teachers from each school. 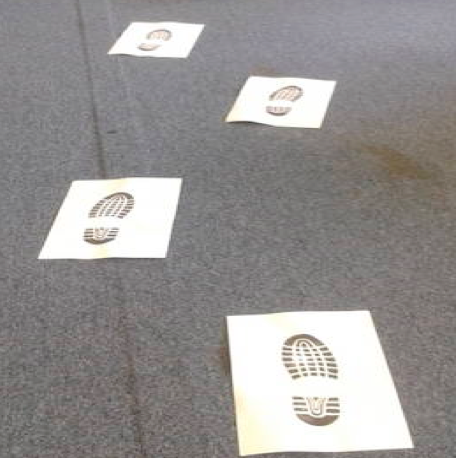 As part of the 'FRIENDS' programme students develop a coping step plan. 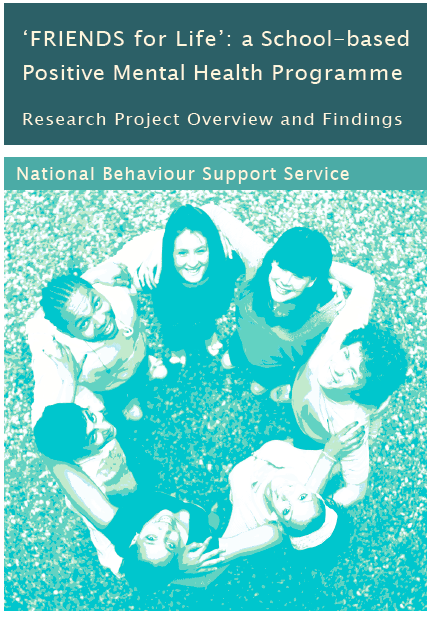 The findings from the research project give a strong indication that the ‘FRIENDS’ programmes could make a significant contribution to building resilience and improving the emotional wellbeing and educational outcomes for young people in Irish schools. Due to the increasing awareness in education of the need to understand and address the emotional and mental well-being needs of children and young people, the NBSS decided to pilot and research the ‘FRIENDS for Life’ programme in partner schools. In collaboration with the National Educational Psychological Service (NEPS) and the Social, Personal and Health Education Support Service (SPHE) fourteen NBSS partner schools participated in the research project. Of the 14 schools, two taught the programme to all 1st year students and the remaining 12 schools focused on small groups of 1st year students, some of whom had elevated anxiety levels. Forty two teachers attended a three day training session to become accredited facilitators in the ‘FRIENDS for Life’ programme.These teachers subsequently delivered the programme within their respective schools. I - I can do it! There are three main components in ‘FRIENDS’ based on CBT principles; (1) Learning/ Behaviour, (2) Cognitive and (3) Physiological. The Learning/Behaviour component involves helping children and adolescents to problem solve, use coping skills, expose themselves gradually to feared situations, reward themselves for brave behaviour and identify positive role models and support networks. The Cognitive component involves helping children and adolescents to use positive self-talk (green thoughts), challenge negative self-talk (red thoughts), evaluate themselves realistically and reward themselves. The Physiological component involves teaching children and adolescents to be aware of their body clues, to use relaxation techniques and to self-regulate. 244 students were given consent to participate in the 'FRIENDS for Life’ programme. 94 students were identified as being in the ‘elevated’ anxiety range before the programme (1 in every 5.3 students). After the programme this reduced to 51 (1 in every 9.8 students) and to 33 students after a further seven months. 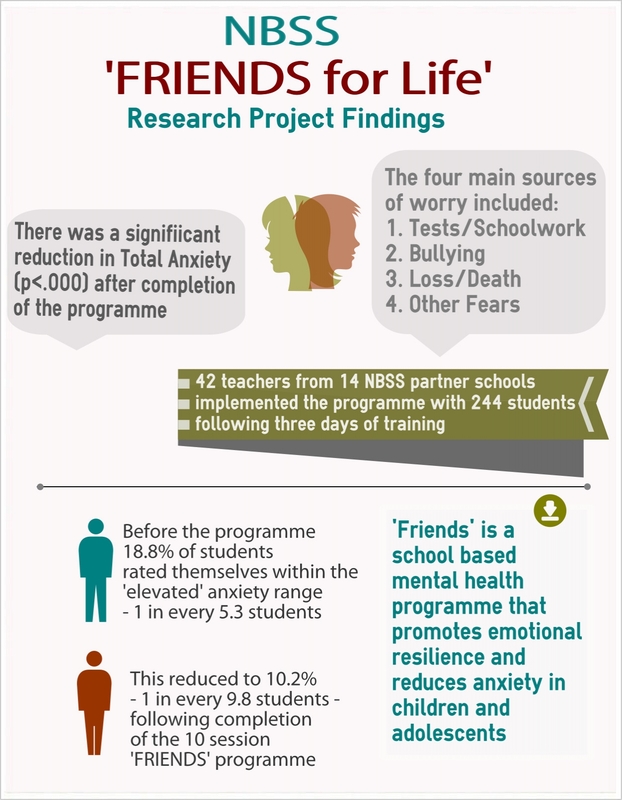 The results of the research project demonstrated that the ‘FRIENDS for Life’ programme is effective in reducing anxiety levels, as measured by both students and parents. The teachers who delivered the programme in their schools believe it will benefit all students. To date teachers from 79 NBSS partner schools have received training in the ‘FRIENDS’ programmes. Read the 'FRIENDS' Research Report by clicking on the link below.